Wowza Media Systems, Inc. named Uvault® as a Wowza Streaming Partner, a designation reserved for those that have achieved high levels of deployment, expertise, and customer satisfaction with Wowza-based products. Uvault uses Wowza Media Server® 3 to power its cloud-based hosting service for streaming live video from one to many, or for playback of recorded media files through its content delivery network (CDN). "Using Wowza Media Server software to power our CDN means we can reliably deliver content for our customers, regardless of the format, to any device through any browser without restrictions on the number of connections or peak bandwidth," said Eyal Menin, president at Uvision, Inc. "Wowza software enables our customers to reach a wide audience cost-effectively and efficiently, which is a real competitive advantage for us." Uvault provides custom media hosting solutions for playout on desktops, tablets, televisions, mobile phones, and any other Web-enabled device. With data centers in Asia, North America, and Europe, Uvault offers workflow automation for media creation and publishing that targets governments and businesses worldwide. Services include a Web-based content management console for live video and media on demand, file protection for more secure streaming, and detailed audience reporting. "As a Wowza Streaming Partner, Uvault uses its infrastructure and expertise to bring the power of Wowza Media Server software to its customers," said Dave Stubenvoll, Wowza Media Systems CEO and co-founder. "That combination means Uvault customers can distribute content to a wide variety of players and devices in the most economical and dependable way." 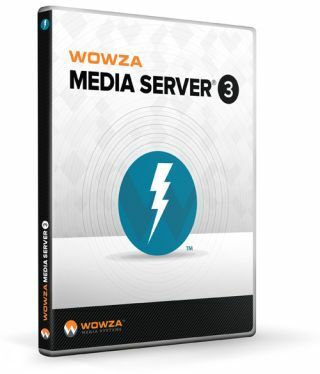 Wowza Media Server 3 simultaneously streams live and on-demand media to any screen, including Adobe® Flash® players; Microsoft® Silverlight®; iPhone®, iPad®, Android™, and other smartphones and tablets; smart TVs; and IPTV/OTT set-top boxes. It provides a single extensible platform for a variety of high-value features, including live transcoding for adaptive bitrate (ABR) streaming; any-screen, time-shifted playback; and premium content delivery with multiplatform digital rights management (DRM).